Season's greetings and welcome to the second newsletter of the APEnet project (Archives Portal Europe). The APEnet project consists of seventeen European national archives working in close co-operation with Europeana on this three year project. The project is co-financed by the eContentplus programme and its aim is to create a common Gateway for Archives in Europe. In addition to the technical development of a conversion tool to translate original data formats – locally or centrally – to the international standards EAD and EAG as they have been defined for their common use within the project, the resulting schemas for APEnet EAD and APEnet EAG have evolved and become more specified. This has been done not only by adapting the needs and wishes of the partners, but also with consideration of central data management purposes. Guidelines for the use of these international standards already are and will continue to be released via the project’s website, not only for those institutions already participating, but also for those generally interested in the developments of the project. 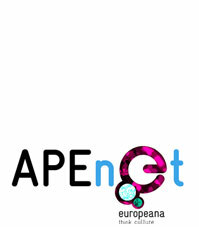 A document on APEnet EAD is available in the section "About APEnet > EAD Developments". Within the conversion tool, the schemas are used as a basis for the main processes available ie to convert local data to the corresponding APEnet format, to validate these converted files and to edit them to some extent, mainly with regard to data needed/recommended for central functionalities to be offered which are not present in the original files. While the central version of the tool will be integrated into the dashboard as the backend of the future Archives Portal Europe for managing all data processes, the standalone version that can be used locally has been presented recently to the partners at a meeting held in Paris on 9 November. Following this meeting, the tool was distributed to all participating institutions. As the development of the tools to be provided to the partners continues, the evolution of the pilot for the future Archives Portal Europe is advancing. During the General Assembly held in León on 30 June, a first interactive presentation was shown to the partners. For them, the pilot installation will have two main parts: the dashboard as its backend and the actual portal as its frontend. Content providers will be able to upload their data via the dashboard, to convert and validate them centrally, to initiate the indexing in preparation for the search functionalities of the portal and to preview their content as it will be presented within the Archives Portal Europe. Where applicable, the dashboard also allows content providers to convert APEnet EAD finding aids to the data format used by Europeana and thereby directly deliver data to Europeana. In addition to presenting the archival material as provided by the partners in a hierarchically-structured way beginning with the participating countries and institutions and drilling down to single finding aids - including links to digitised materials where applicable - the pilot of the Archives Portal Europe will offer a combination of different search methods and approaches to facilitate a full text search of certain aspects of the archival material such as dates of creation, language of the material etc. The search results will be presented in three different ways: the first and second search views will present the results hierarchically ("Context" tab) as well as in a short summary ("List" tab) while the third search view will present the results in their full context with a tree structure thereby enabling the user to view the whole document at a glance. Furthermore, there will be additional sections within the Archives Portal giving access to general information on European archival institutions together with their contact details etc. The APEnet team finalised the development of a software tool to convert information on digital archival objects from APEnet EAD finding aids to Europeana ESE records. Using this conversion tool (EAD2ESE v1.2), the APEnet team contributed ESE records on more than half a million digital archival objects to Europeana. The development and prototyping of this EAD2ESE conversion tool was done mainly by the Nationaal Archief-based APEnet WP3 team which is responsible for interoperability between the Archives Portal Europe and Europeana. The APEnet-Europeana contribution mainly consists of ESE records linking back to digitisations available on the website of the Nationaal Archief (eg various photo collections and the famous maps and drawings collection). This pre-Archives Portal Europe-Europeana contribution provided both the APEnet team and the Europeana team with important information on how to best display digital archival objects and their metadata in an object-centric portal like Europeana. As a result of this and of APEnet-Europeana meetings on how to map (APEnet) EAD towards the new Europeana metadata model EDM (which will be the basis for the next Europeana releases), the display of hierarchical objects and metadata is now one of the 'priority one' requirements for the next Europeana release, the Danube release, due in April 2011. The APEnet team is very pleased with this achievement as it will enable Europeana to provide as much contextual information on digital archival objects as possible, in accordance with a fundamental principle of archival description. An agreement has been signed between the EURBICA (European Branch of the International Council on Archives) and the APEnet project to establish an EURBICA-APEnet Associate Partner Liaison Group. The liaison group will organise two workshops comprising information and test sessions on the APEnet content provider tools and testbeds. The main focus group for the workshops is the European National Archives of countries that are not members of the European Union. The detailed agenda and dates are not yet decided but a workshop will be held in connection with the CITRA conference in Toledo, Spain, in October 2011. The APEnet consortium welcomes three new APEnet partners representing the National/State Archives of Bulgaria, Estonia and the Czech Republic. This means that nearly two thirds of the European Union countries are now represented by their National Archives or their National Archives Administrations. The progress in WP3 and WP5 activities was presented by Wim van Dongen (Work Package 3 Leader) and Peder Andrén (Work Package 5 Leader) during the EBNA and EAG meetings in Madrid on 19 May. WP2 held their kick-off in Léon, Spain, on 29 June and Jara Álvarez Aller (Work Package 2 Leader) showed the first interactive presentation of the pilot to the partners during that meeting. The APEnet consortium held its second General Assembly in León on 30 June during which the APEnet project management team informed all APEnet partners on the progress of the project and involved them in the next steps towards the launch of the pilot of the Archives Portal Europe in January 2011. The Europeana Rhine release was unveiled in July, containing 555,370 digital archival objects and their metadata from the Nationaal Archief, provided to Europeana using APEnet's data conversion tools. Angelika Menne-Haritz (Work Package 1 Leader) presented APEnet during the pre-conference meeting on EAD called "Moving forward with Authority" on 8 August. APEnet attended the CITRA conference in Oslo, Norway, where Peder Andrén presented the APEnet project on 16 September. Go Sugimoto and Wim van Dongen attended the Europeana Hierarchical objects and metadata meeting in the Royal Library in The Hague on 16 September. The Europeana team organised this meeting to brainstorm with representatives of the different domains on how to display hierarchical objects and their metadata in a more satisfactory fashion in the next releases of the Europeana portal. APEnet was presented at the Conference for Swedish Records Managers on September 30. The conference took place in Stockholm and is the yearly conference for Records Managers and archivists at governmental organisations in Sweden. Several members of the APEnet team joined colleagues from Europe’s galleries, libraries, archives and museums – GLAMs – to hear about innovations in their sector from Wikipedia and Google at the annual Europeana conference, Open Culture 2010, in Amsterdam on 14-15 October. Peder Andrén, Kerstin Arnold and Yoann Moranville visited the National Archives in Tartu on 6 October to report to the new partners about the current project status and to present the already developed software tools. The APEnet project will release the pilot of the Archives Portal Europe in January. The official public launch will take place in February. The APEnet project will contribute to the next Europeana production release, the Danube release, due in April 2011, but this time based on the interoperability as implemented in the Archives Portal Europe pilot. APEnet intends to organise several workshops in 2011, for instance, one on the use of METS in Stockholm, Sweden, in June 2011.